Cloud computing is one of the most important and remarkable innovations of recent times. Since all the data is stored in servers located at different locations operating on different hardware so data consistency, availability, and security while accessing becomes a challenging task. Cloud introduces different data access management techniques that make sure of information security within the cloud even in the scenarios of outsourcing and untrusted cloud servers. Information access management in the cloud is a difficult issue due to the distributed architecture of cloud storage systems. Low trust of such a storage paradigm leads to limited proliferation and acceptability. These challenges further soar while addressing the issues of security, since it remains a massive risk. In this scenario, hybrid information prove a meaningful solution as it assists and stores all these varied information depending on privacy, needs of information and initial supply and offered capability. 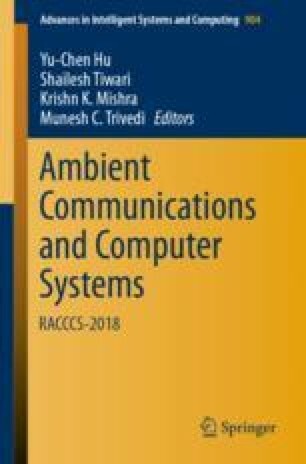 In this context, this paper proposes a cloud security hybrid querying system (CSHQS) that help to overcome data storage complexity and its subsequent access. The query input mechanism help in data computation, its processing, and deriving output with input test. The experimental results show the efficiency of the proposed CSHQS as it outperforms the existing state of art.